I love using HUNGRY HEN! The kids are always surprised by the ending. Some other oldies but goodies, A HOUSE FOR HERMIT CRAB and HATTIE AND THE FOX. Ooh, good list, we use a lot of those. I like reading Pinkwater's "The Big Orange Splot" with "The Araboolies of Liberty Street" by Sam Swope(houses/homes) and then having the kids design their dream house on paper. I like using Hattie & the Fox, too. Other good books are Hello, Day by Anita Lobel, Heave Ho! by Heinz Janisch, Hot Rod Hamster by Cynthia Lord, & Hugless Douglas by David Melling. I always think of heads and hats when I think of the letter "H." Some favorites: "The Magic Hat," "The Hat" by Jan Brett. I love The Hello, Goodbye Window (Norton Juster). So so great. I have all kinds of love for "Heckedy Peg." 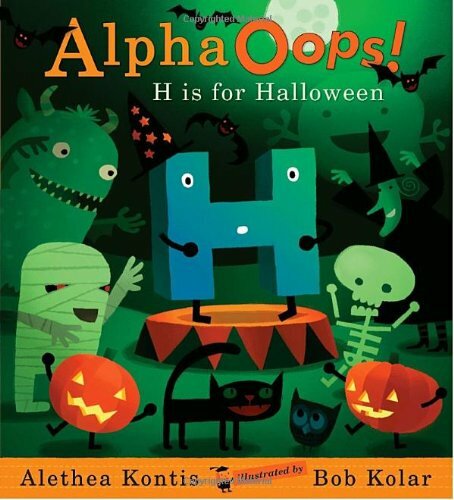 I love this sound of this ABC book with a twist! Henry etta whole cake, and now it's all gone! Happy Turkey Day! Hope there's plenty of pie and cake to go around!